What if the only thing you had to do was to live an amazing life? 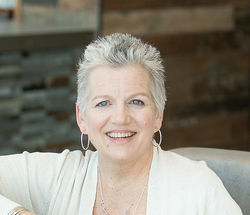 I am a personal development and mindset coach for professionals who want a deeper connection and to live with greater intention. I am a trained ontological coach with a passion for supporting professionals to create a life they truly love. I was inspired to become a coach after healing my own emotional and physical issues through food and self-care. I realized that my mindset was getting in the way of my life and health, and ultimately it was up to me to take responsibility for both. Through 25 years of experience in the legal and non-profit worlds, I understand the challenges of maintaining a healthy, balanced lifestyle while juggling work and family. My education and training is listed below, but my most impactful and meaningful education has been the collection of my life experiences: navigating my own career confusion, balancing equally loud callings to be the best mother possible while continuing to follow my own life purpose, divorce, debt, health challenges including depression, re-marriage and co-parenting. These experiences have taught me powerful lessons that I’ve leveraged to create and deepen my strong personal foundation and the life of my dreams. These are also the skills that I draw from to truly understand and partner with you to transform your life. Have you worked with Erin? Tell your friends! The foundation of a happy life forms when we incorporate the practice of watching our thoughts and deciding which ones to give power and meaning to.